Talking Suitcases™ is a powerful tool for building community. Members of diverse groups can come together to create Talking Suitcases about their lives and values. In the process of giving shape to their own stories, they have the chance to listen deeply to others. They discover similarities as well as differences, and deepen their empathy for and understanding of others. Building community can also begin with separate workshops for different groups in the community. After making their Talking Suitcases, groups come together for a joint celebration, public display, and performance event. 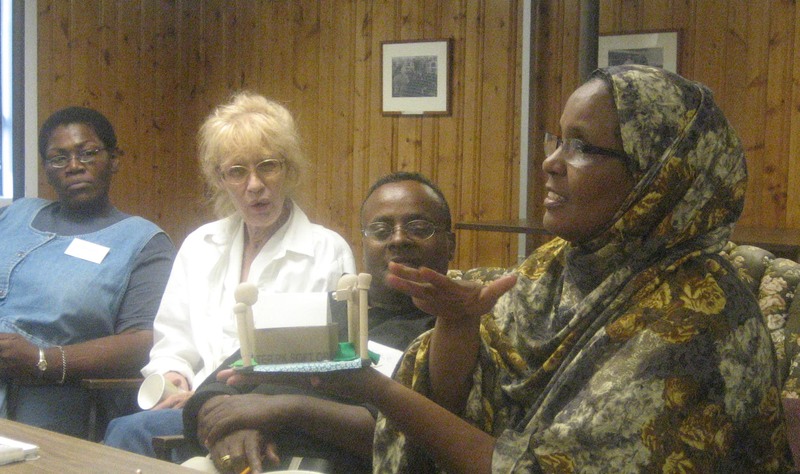 Recent Projects: West Bank Community Development Council, Minneapolis, MN; Islamic Center, Fridley, MN (funded through a COMPAS Community Arts grant by United Theological Seminary); St. Paul Jewish Community Center, in partnership with Intermedia Arts; Hmong American Partnership, St. Paul, MN; Korean Service Center, Minneapolis, MN; Minnesota English Language Program (MELP); University of St. Thomas, Service Learning; and Minnesota Campus Compact.